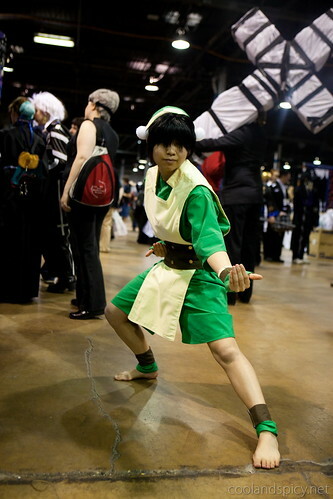 Might as well start with the best cosplay first. 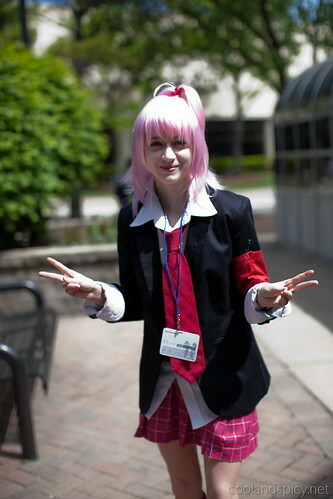 Seeing as how my avatar is usually Amu and this blog is even named after her, it seems fitting to start with a great Amu cosplay! Unfortunately, I was too distracted by her cute cosplay to notice my camera settings were off and the photo was blown-out >_< Managed to recover most of it. 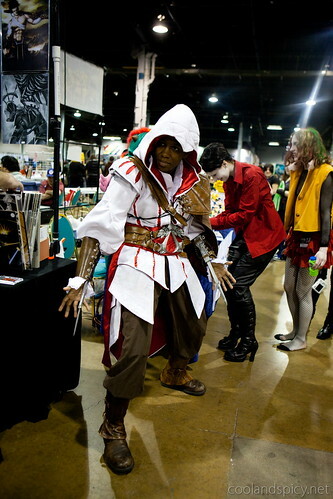 A most awesome Eizo cosplayer in the artist’s alley. He was selling stuff too. His wrist blades were fully retractable too. Very detailed! 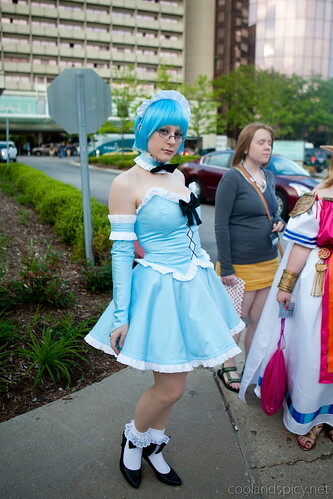 Probably the best Orihime cosplay I saw. lol, Kazima. 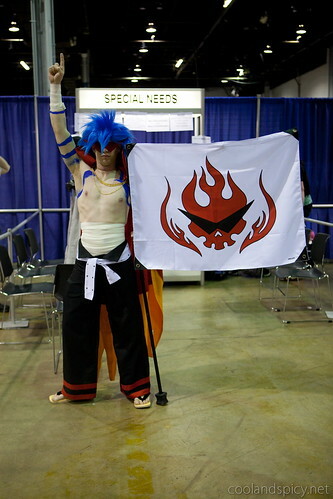 Well, he certainly had a good cosplay. 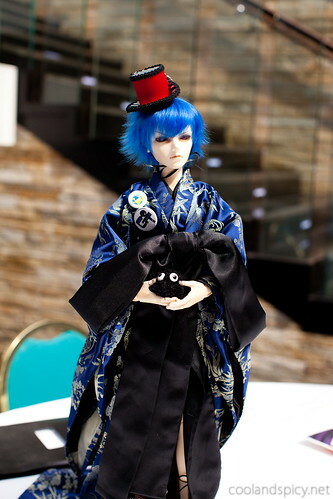 Throughout the weekend of the con, a series of BJD (Ball Joint Doll) meets were scheduled by fans from Den of Angels. 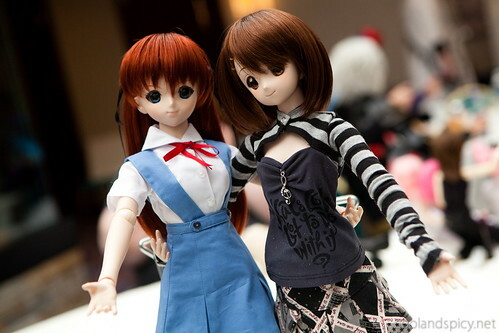 This is from the Friday afternoon meet which I attended and brought along my Yui DD. 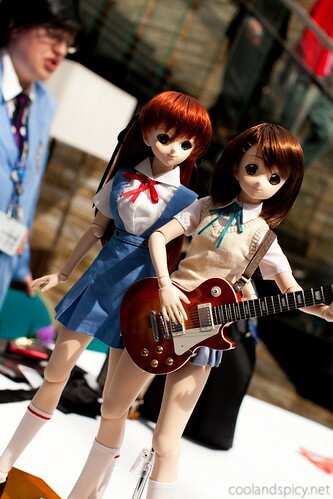 Also, Wolfheinrich from Wolfheinrich’s World brought his Asuka DD. He has already posted a lot of pics at his blog. Check them out. 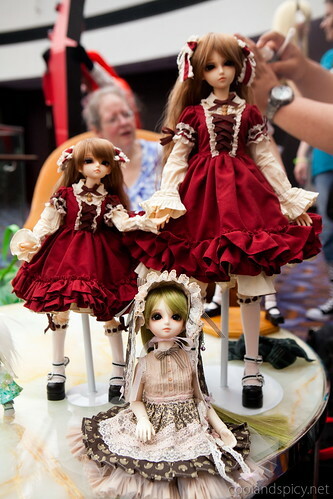 It was a lot of fun to see all the different types of dolls. A happy family. Matching outfits for big and little sis. Also picked up some new manga for a few series I’ve been reading. Skip Beat vol. 10-18, Berserk 33, and Yotsuba 9. 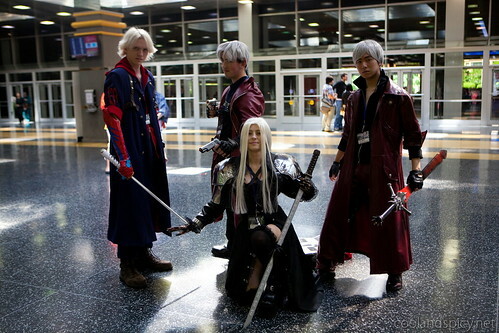 Some impressive cosplayers in there. A shame there weren’t more DD’s in the doll population there. .-= Smithy´s last post… Shin Koihime†Musou Otome Tairan 7 =-. It was a ton of fun. While I would have liked to have seen more DDs, I wasn’t disappointed. 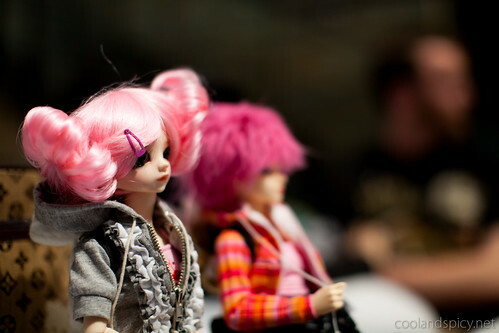 A lot of the other dolls were very impressive. Skip Beat!, Berserk, AND Yotsuba! AWESOME! Those are some of the best series I own! 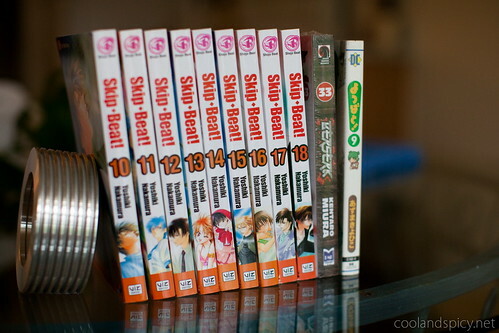 I see you bought quite a few volumes of Skip Beat :) can’t blame you that series is addicting! 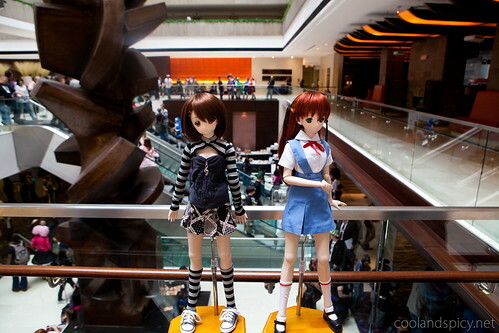 Although I’m curious why did you buy manga at the convention rather than at a bookstore? 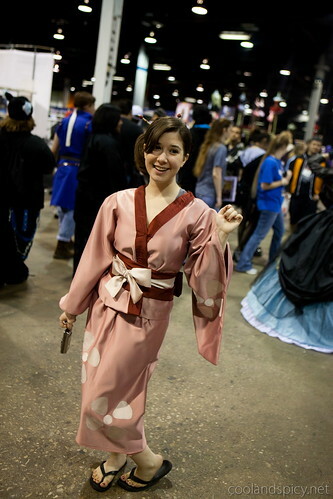 It’s nice to see someone cosplaying as Fuu, I really enjoyed Samurai Champloo. .-= lovelyduckie´s last post… My May Haul =-. I just realized the atory arc you have in Skip Beat! in those volumes! That’s my favorite story arc in Skip Beat! Oh I didn’t notice that Yotsuba was the Japanese version. Youre a fan of Yotsuba too? Its one of the funniest Manga ive ever read! I said it elsewhere but will say it here again, it was great fun hanging out together! 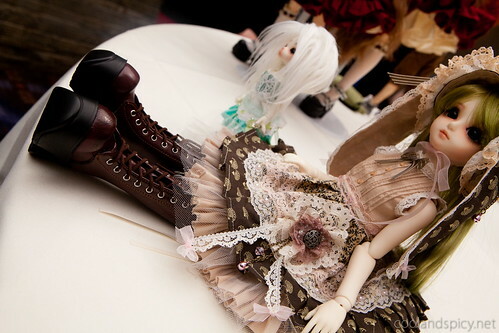 .-= Wolfheinrich´s last post… Dollfie Dream Asuka Goes to Acen 2010 Day 2 & Sixteenth Dollfie Dream Daughter =-. .-= Fabrice´s last post… Loot Review 2010/05/21 =-. 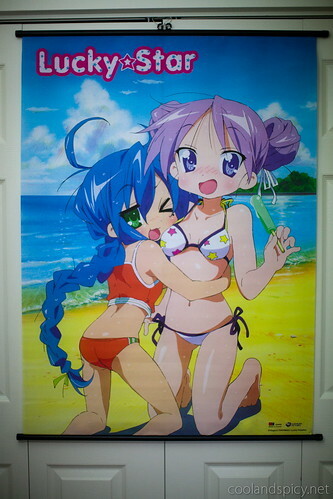 .-= ninjovee´s last post… New Banner LOVE! ♥ =-.